Election day is a month away. Looking for a way to incorporate teaching about elections in your homeschool? We’re providing this guide for young people to the 2018 midterm elections for free. Click on the image below to get the download! Written by a political expert, this guide is about the elections process and covers all aspects of how midterm elections work, including discussing specific races nationwide. We know that politics can be divisive, but this guide is completely non-partisan and appropriate for young readers. While the guide mentions various issues that may determine elections, it’s up to you to discuss your positions on those issues and what they might mean. 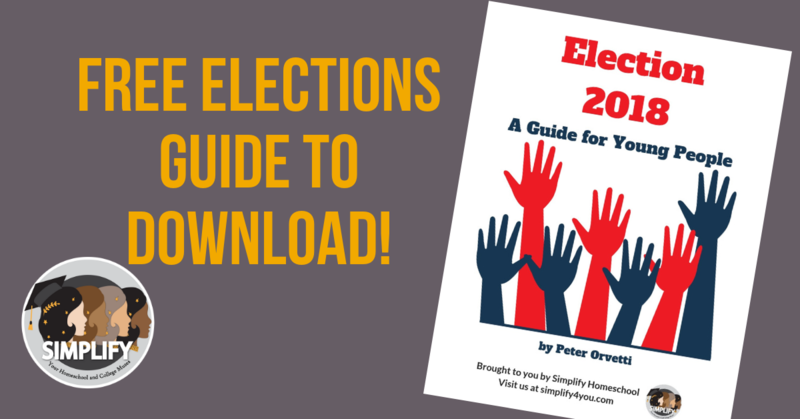 The primary focus of this guide is to help people understand the election process. Why are midterm elections important, who is elected, and how do the elections work? Feel free to share this resource!